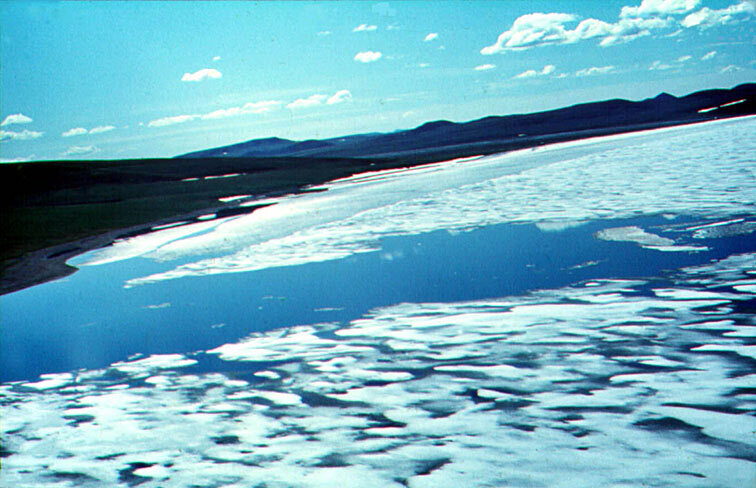 Elgygytgyn Lake is a unique water body: this round lake is found close to the divide between the two oceans, above the Polar Circle, at the altitude of about 500 meters. 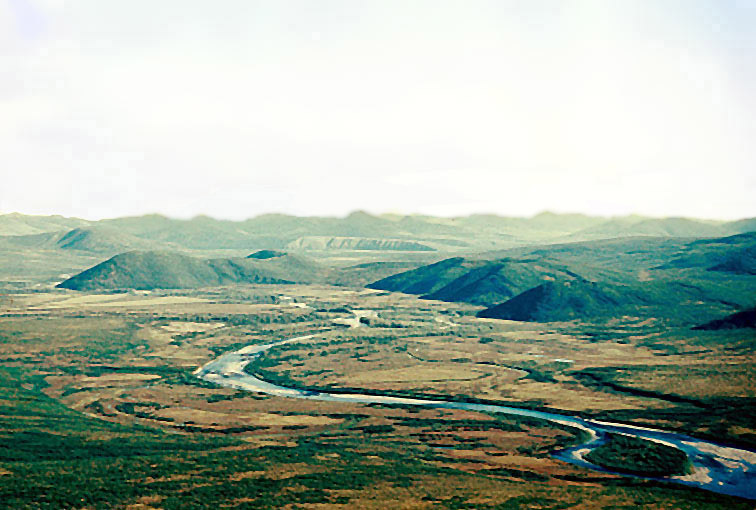 About 3,5 million years ago a huge meteorite impact had created a crater about 27 km (10 miles) across. In the first week of July the ice at the Elgygytgyn is starting to melt. The fields of grey, porous ice will be floating at the lake till August. 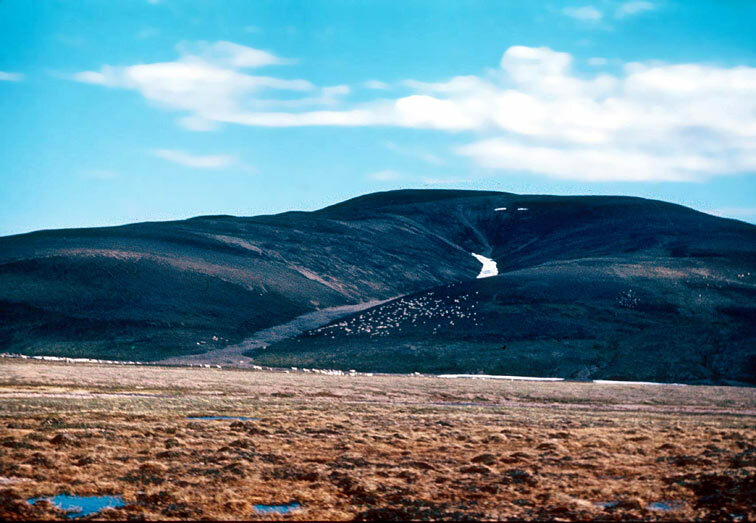 This part of the Chukotka was never covered with a glacier even during the times when the Europe and North America were under the thick ice. 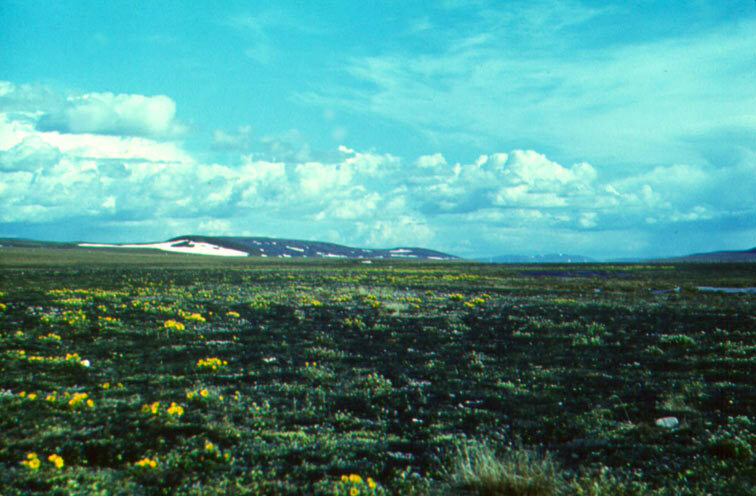 In the most of the lake hollows in the Russian Far East there also were glaciers at that time, but not in the Elgygytgyn. So, the age of the most of lake ecosystem of the region are not more than 10,000 years. 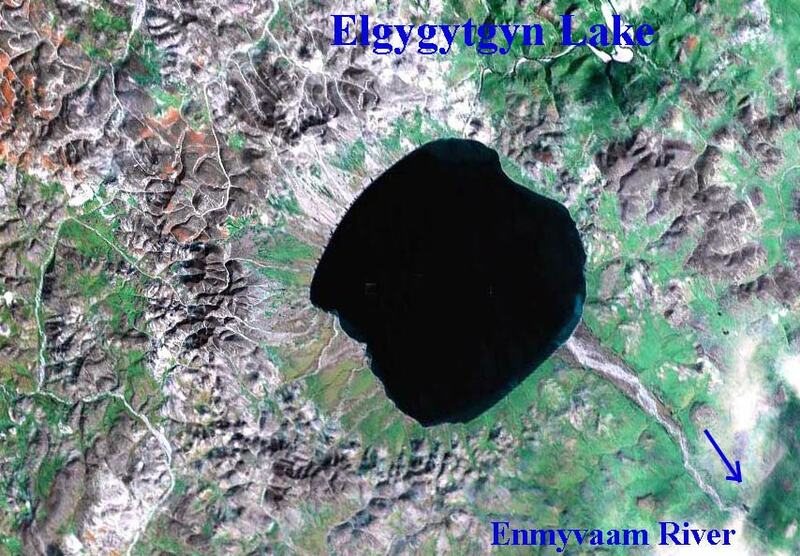 On the contrary, in the Elgygytgyn Lake hollow life is dwelling for over 3 million years without breaks! This is why here we have some unique fish which you can see nowhere else. 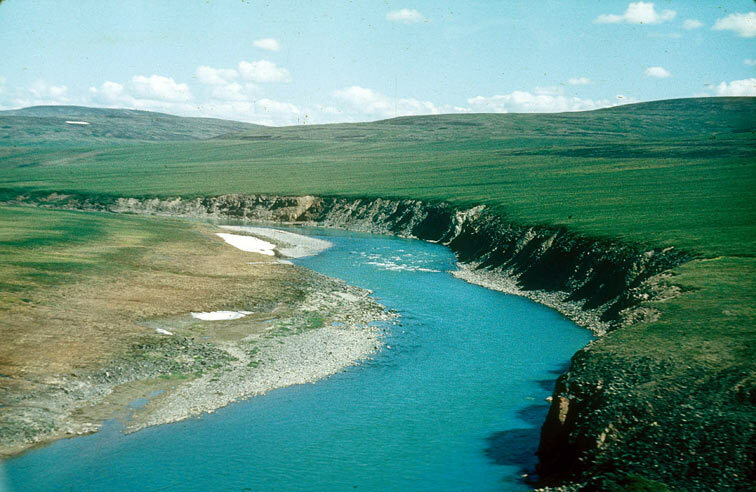 The lake outlet, the Enmyvaam River, flows into the Bering Sea. The river at the image is milky due to the snow melt. 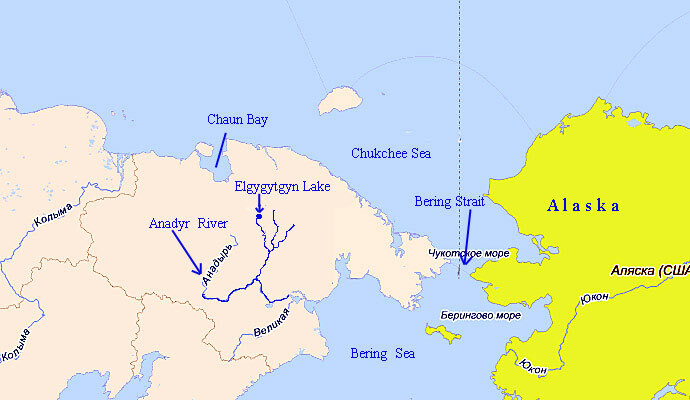 The lake outlet, the Enmyvaam River, flows to the south, to the Bering Sea. Some fish species are able to reach the lake in summer by going upriver, but the lake is very cold, and no fish except 3 char species could survive here. One of these chars is a big predatory fish, the Boganid char, which is also found in some lakes of the Taimyr Peninsula (Central Siberia). The main range of this fish is the northern Siberia — Taimyr Peninsula. Boganid char (Salvelinus boganidae) is always lake-resident; in big deep lakes this fish can be over 20 kg. Two more char species of the Elgygytgyn, feeding by zooplankton, are its endemics. In June it is easy to catch the Boganid char with summer tackle in the hollows along the banks, and with the winter lures through the ice. 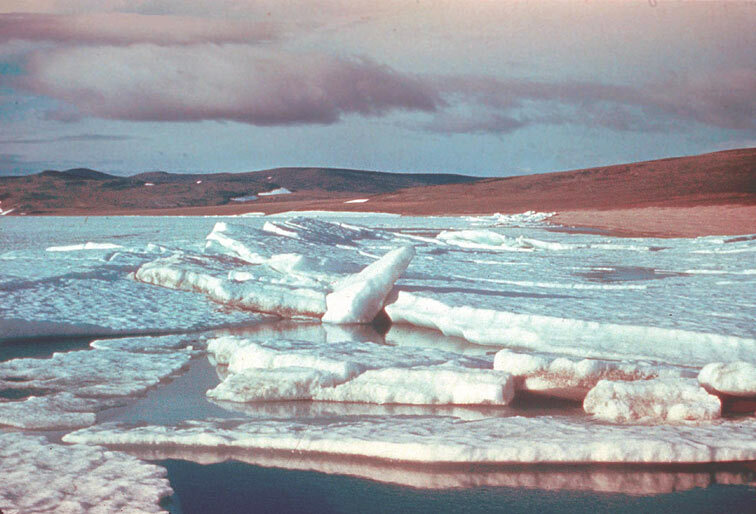 The 1st expedition of the Institute of Biological Problems of the North (Magadan) had visited the lake in 1979. The first fish which we were catching was the Boganid char. In the Elgygytgyn Lake this fish can be big (over 9 kg in my catches). There also info on the 15-kg giants. The weight of the biggest specimens of Boganid char in the Elgygytgyn Lake can be about 15 kg, my own record fish was over 9 kg. Open-water tackle can be used from mid June (in holes near the mouthes of tributaries) till the freezing of the lake (September). Near the southern shore of the lake, often close to the mouth of one of the inlets, we have observed big schools of predatory Boganid char with freshly swallowed small fish, feeding on plankton. These small chars are normally absent on shallow places; they concentrate on the slope of the lake hollow at the depths between 30 and 120 m. Big predatory chars feed in that deep area; after that they come to the shore and stay in the «warm» water of tributaries — to be able to digest food. In most cases the Boganid chars feed in small schools (2-7 fish); members of such school often have comparable size. These fish move and hunt together like lions in a pride; some fishermen also call these groups of predatory fish — prides. On calm days you can often see several fish coming to your lure or fly. Near the sinking fly appear some shadows, one fish bites and is on your line. Other members of the pride follow the hooked fish to the bank. Sometimes you can find the hunting chars by rises and splashes on the surface. The best chances to meet the school of char you have near the mouth of any brook, flowing into the lake. Rocky bottom is preferable comparing with sand. Wind and waves exercise big influence on the movements of fish in lakes. You can expect to find fish on such stretches of the lake coast, where the waves come to the bank obliquely. On the contrary, char do not come up to shallows with big surf. It is very interesting to fish for the Boganid char with a fly; to catch it use big fish-like streamers (#2-3/0). I have had bites for Gray Ghost, Mickey Finn, white Zonker; chars were also attracted by the primitive streamers with silver body and wings made out of white gull feathers. I was fishing with floating line, long mono leader, and 12 pound test tippet. The casts have to be at least 20-25 m long. Let your fly sink for 5-7 seconds, and then begin slow retrieve. After every 3-4 meters stop the retrieve for 3-5 seconds. If you use sinking line, the fly can be moved faster, without stops. The jaws of the Boganid char are harder comparing with the mouth of any anadromous char; this fish is difficult to hook with a soft rod. The tackle for this species should be as strong and heavy as for coho salmon. This fish is feeding mostly with small charrs which are more numerous at the big depths. After swallowing its prey in deep water with the temperatures below 3 degrees the fish comes to the inlets of the small brooks with the summer temperatures up to 10 degrees. You could see the big char hanging in shallow water close to the bank, right in the flow of 1 meter wide brook. The warmer water of a brook allows the fish digesting its food much faster. The charr prey brought from the depths of the lake to the bank had told us that there are some other fish species which do not come to small depth. 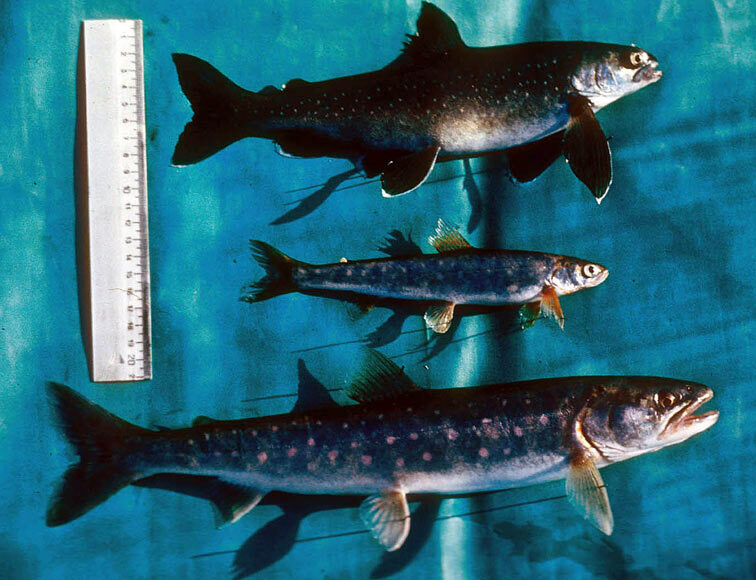 Three char species from the lake: Boganid char (bobbom), small-mouth char, and long-fin char (top). Common prey of the Boganid char of the Elgygytgyn Lake is endemic small-mouth char (Salvelinus elgyticus). 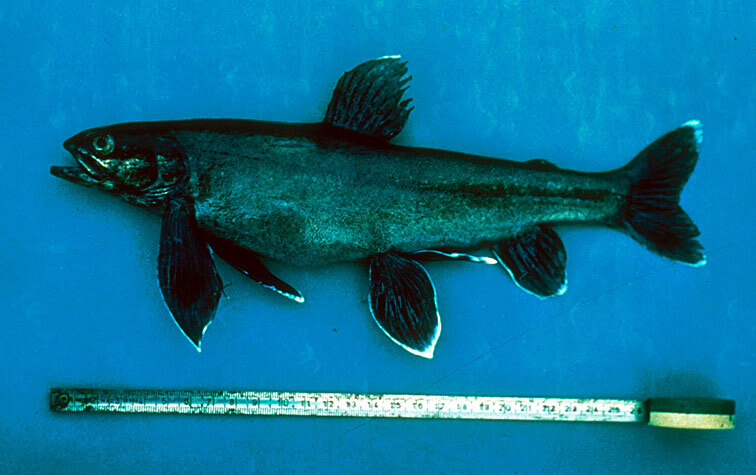 This fish was found at different depths from shallows near the lake shore to 140 m (rarely), but in most cases (except the spawning period) the species dwells at the middle and upper part of the lake hollow slope (40-100 meters). This species is characterized by distinct rhythm of diurnal activity. In shallows and near the surface it appears only at dusk or at night, and only in areas protected from waves. 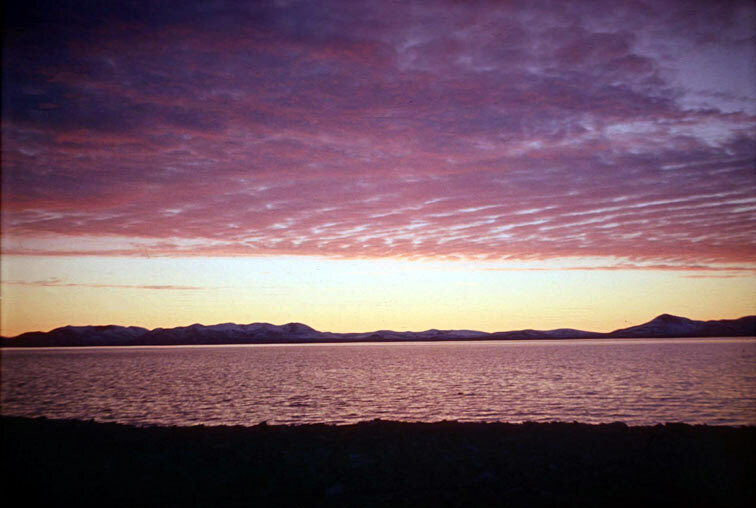 Spawning takes place in September in shallows of the southern part of the lake with depths of 1,5-3 m. Smallmouth char appears in shallows also in spring, when the lake is covered with ice. Small-mouth char grows extremely slowly — the biggest specimen was 24 cm long, its age was 26 years old. In 1979 in the stomach of a big Boganid char among numerous small-mouth char I have found digested remains of a different small fish — it was very strangely looking. We were not catching anything similar near with our nets and hooks. The Boganid char is often coming to thelake shores; this perion it is rather easy to catch it with a fly. 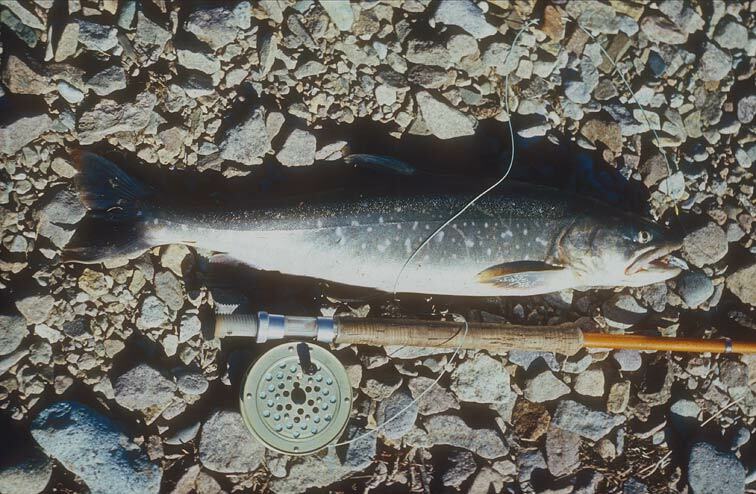 I was using the streamers, the fish imitaton up to 10 cm long In 1985, when I had chance to visit the Elgygytgyn Lake the second time, the main goal of the trip was to catch this strange deepwater fish. 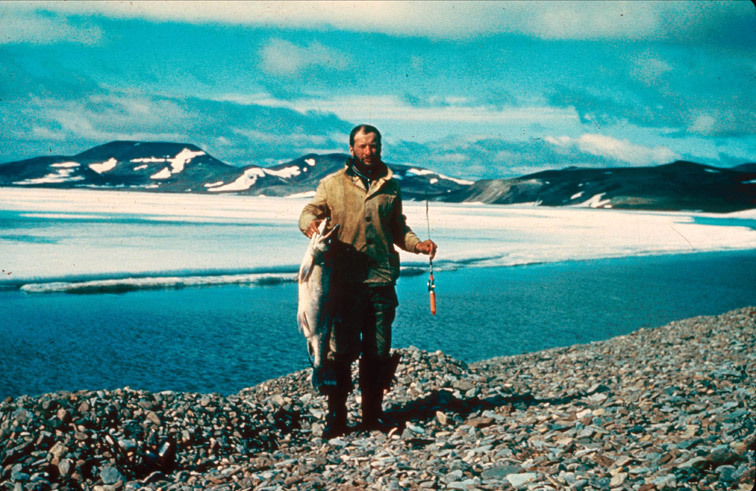 Same as in 1979, the stomachs of the predators were bringing to the shore and into our hands the specimens of the small-mouth char, and of the same strange unknown char-like creatures. I had understand that this new fish is always sitting deep, and started to set the nets to bigger and bigger depths. At 30 and 60 meters I was catching the same Boganis and small-mouth chars, so the next move was to bring the nets out to 100 meters. 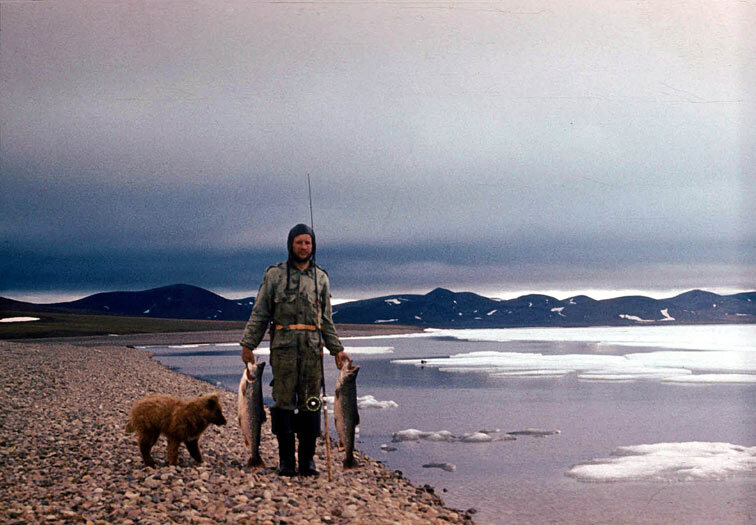 I roved 1 kilometer out into the lake, and sank several small-mesh gill-nets tied together with an anchor. The biggest Boganis char was caught through the ice; its weight was 9,2 kg The next morning it was windy; it was hard to find a buoy which was tied to the nets. Finally the buoy is in the boat, and I am gradually, slowly pulling the 100 meter rope, lifting the nets. The white rope is disappearing in black depth, and it takes big effort to lift the nets to the boat. Finally I see the nets — they look like a braid with numerous little fish stuck in the mesh. With great excitement I see that big share of the catch consists of strange fish which no person had ever seen before. They have black-olive bodies, long fins, and very short snouts. The bellies of the fish are overblown — their air bladders have expanded when they were lifted from big depth. Long-fin char belongs to new genus of Salmonids, described in 1988. Scientific name of the genera, Salvethymus, was created out of the words Salvelinus (char) and Thymallus (grayling). At first sight this fish looks similar to both char and grayling. 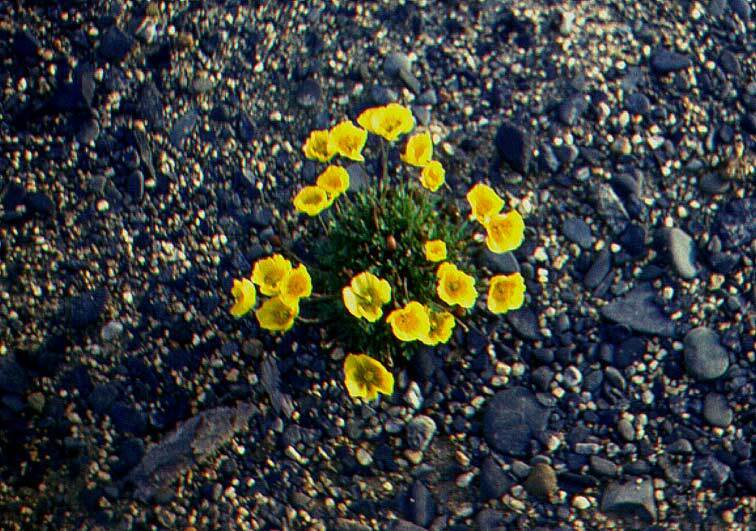 The genus has only one species, relative to chars. 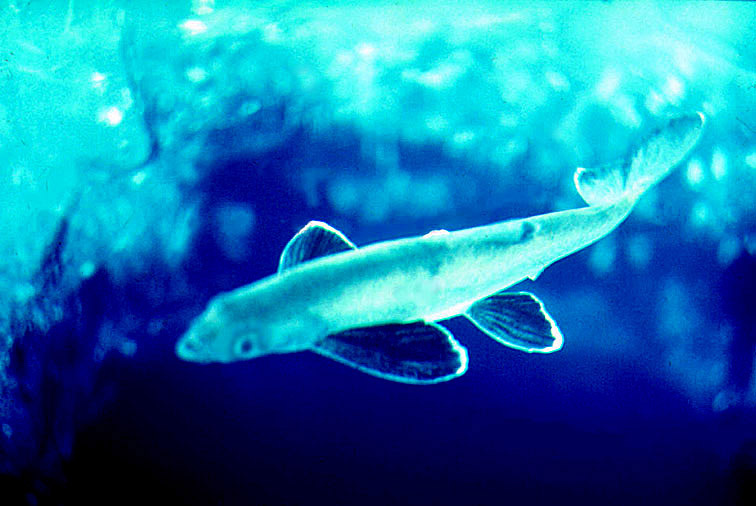 Long-fin char is ancient fish with many primitive features. It is considered to be kindred to the ancestor of all chars.